This is a nice clean North Brothers Yankee No. 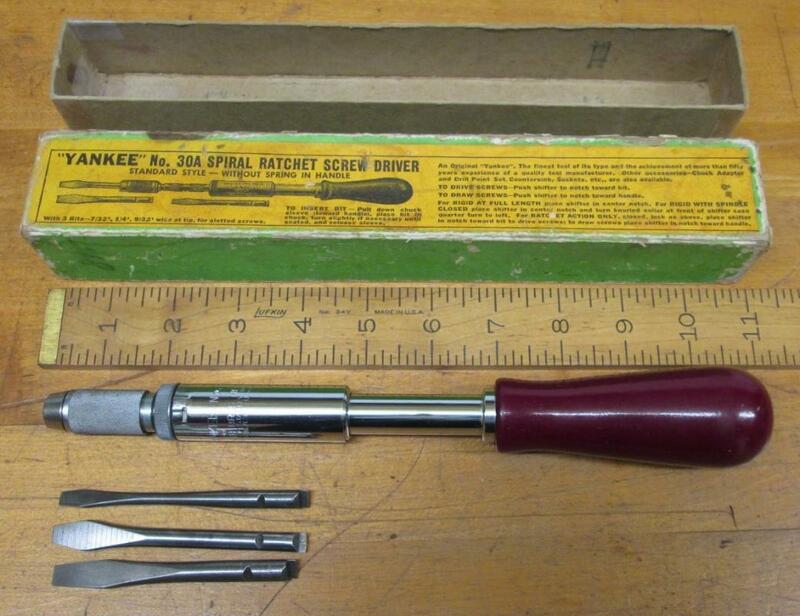 30A spiral ratchet screwdriver in very good condition. Marked "NORTH BROTHERS MFG. CO. DIVISION OF STANLEY TOOLS YANKEE NO. 30A PHILA. PA. U.S.A.". This is the medium sized spiral ratchet screwdriver, (16" long overall without the bit in it, fully extended), offered with 3 removable original straight slot driver tips. In very good working condition. There is little paint wear on the handle, 99% like new, with "YANKEE" press printed into the wood. The exterior of the main shaft is nickel plated brass, very light wear, bright, shiny. 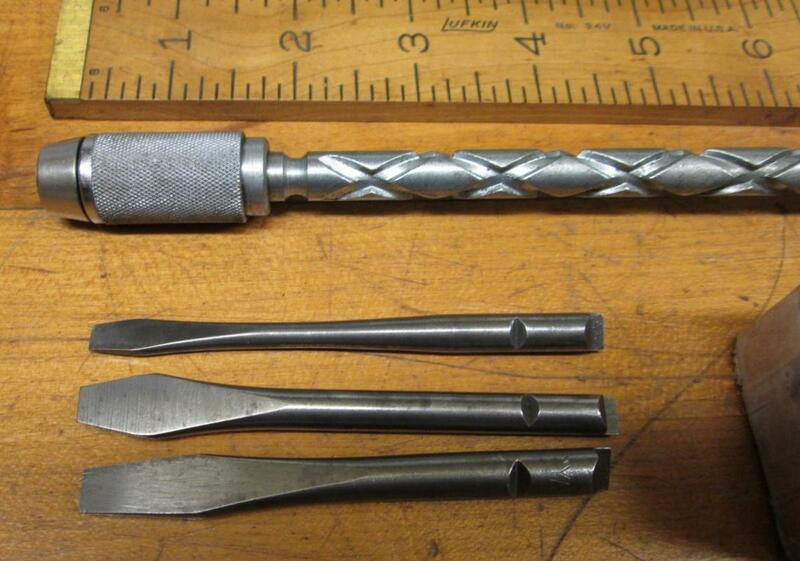 Some Yankee screwdrivers are spring loaded in the spiral section, (rapid return, No. 130A) this one is not, works fine, you manually return it to the extended position. You can use this screwdriver with or without spiral or ratchet, using the adjustment setting on the main shaft, and with or without ratchet drive also as there is a three position switch for ratcheting with an lock in the center. This is a nice clean old one! The original box is solid with some wear, fully intact with a decent side label, the top label has some minor dirt, but not bad, some stains, and some corners are starting to tear, but still holding. 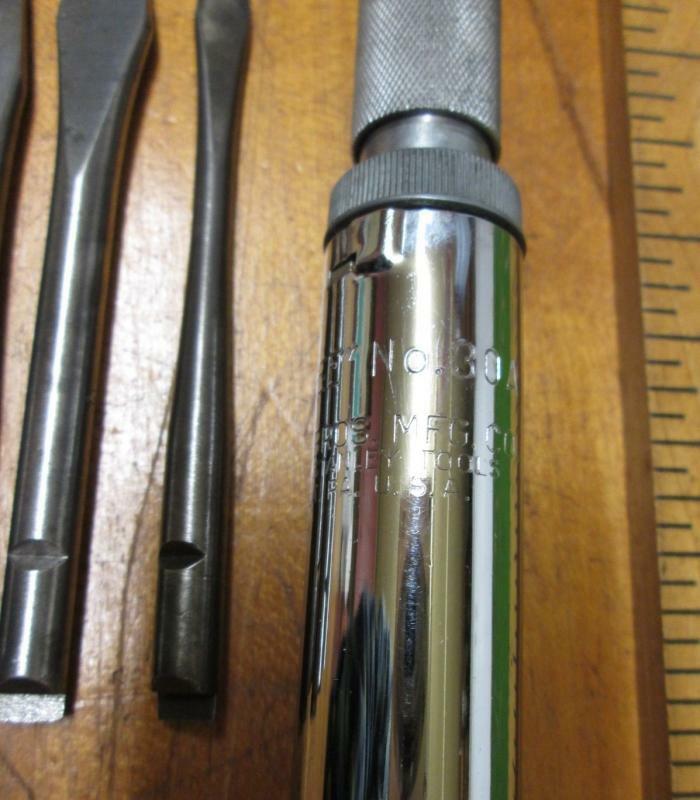 I have hex drive adapters available for sale, to fit this screwdriver, listed here on this site at additional cost. Adapters reference number is T5630A. The adapter allows you to use modern hex drive bits and bit sets, like Philips drives, nut drivers, and star type bits for example. Note: The Yankee/hex drive adapter is recommended if you intend to use this tool. Items Similar To "North Brothers Yankee Ratchet Screwdriver No. 30A w/Box"